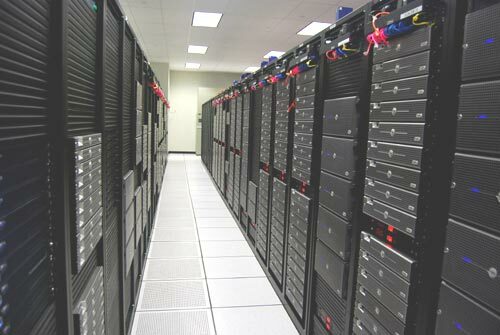 Houston, Texas – (The Hosting News) – March 22, 2007 – Shared, dedicated and reseller web hosting firm, HostGator, and privately held dedicated hosting company, The Planet, have extended their strategic business relationship by entering into the largest customer transaction in the history of the two companies. Through the terms of the agreement, HostGator will lease more than 1,700 additional servers in The Planet’s Houston and Dallas data centers, essentially doubling its server portfolio. Financial terms of the transaction were not disclosed. In 2002 as a college freshman, Brent Oxley started his web hosting business. With less than $1,000 in his bank account, he leased two dedicated servers to begin the HostGator operation. Soon after, Mr. Oxley began leaving classes to take customer support calls. With more than 100 customers acquired in his first year, Mr. Oxley’s constant companion was his cell phone. At any hour of the night he was on-the-ready to help customers who placed their confidence in his company. In his second year of operation, with more than 1,000 customers, Mr. Oxley recognized that he had a burgeoning business and began hiring a team to support his growth. By any measure, HostGator’s growth trajectory is phenomenal. Today, Mr. Oxley’s company hosts more than 500,000 web sites, with 2006 revenue exceeding $11 million. His commitment to customers has paid off handsomely. With a recent move of his headquarters to Houston from Boca Raton, Florida, the company also has opened a new Canadian office in Toronto. With more than 80 employees, Mr. Oxley remains front-and-center with customers. His attributes his open, direct approach to the fact that he grew his business by growing with their businesses. Mr. Oxley maintains that by continuing to work support tickets and to speak with customers when they request, it keeps him current on emerging business issues. The Planet is a provider of On Demand IT Infrastructure solutions, hosting more than 22,000 small- and medium-size businesses and 2.8 million web sites worldwide. By offering the best choice of servers, software tools and world-class support, backed by state-of-the-art facilities and the highest level of network connectivity, The Planet endeavors to turn information technology into a competitive advantage, enabling customers to grow businesses. To learn more about The Planet, please visit: www.theplanet.com. For more information about Host Gator, please visit: www.hostgator.com. Shop for and locate information about website hosting and compare webhosting at Website Hosting Directory. Media Temple Ad Degrading to Women?